How the CIVC is helping keep Champagne growers ahead of the game. The Plumecoq experimental vineyard was created sixty years ago by the CIVC – the professional and trade body that unites producers and growers in Champagne. Laurent Panigai, the CIVC’s head of viticulture kindly loaned me a pair of wellies and showed me round. Plumecoq is in a key position in Champagne, roughly at the spot where the Montagne de Reims, Marne Valley and Côte des Blancs sub-regions come together. It was established to try and discover a solution to leaf-roll and fan-leaf (court-noué) viruses. The answer was to produce high quality virus-free clones by clonal selection, a big task with the vine varieties of Champagne: Pinot Noir now has more registered clones than any other variety in the world and Chardonnay is in third spot. A systematic approach that still characterises the CIVC’s research involved trails of three hundred plants from each clone, with vinification and regular tasting from vin clair stage through yearly monitoring of the wine as it aged on the lees. There are over twenty Pinot Noir clones now in commercial use in Champagne, most of which are grafted, as is overwhelming the norm in the region onto rootstock 41B. This choice of rootstock was criticised a little in the past because it encouraged late ripening; but with the effects of climate change, this is now clearly a quality much in its favour. The next stage of experimental planting was to gather together as many varieties and sub-varieties that exist in the region as a reference collection to help preserve bio-diversity. Clonal trials on disease resistance were then extended to an organically-managed plot. Laurent has also trialled biodynamic-style tisanes, but argues that although they may have some effect, it is generally so slight to provide empirically reliable results. He is, however, convinced that those organic growers who are best equipped to deal with a year with affected, like this, with mildew and oidium are simply those who best know their land. More signficantly, perhaps, trials on fungal diseases suggest that many common diseases are endemic but that most plants seem to have either immunity or an ability to co-exist with them. The real issue for viticulture, Laurent argues, is to try to understand what triggers an outbreak of disease such that one plant may succumb, while its neighbour remains healthy. It is, therefore, not so much a question of combating the disease itself, but in learning how a vine may live with the disease and what may ‘rupture the physiological balance of the plant’. When I asked a question about use of Copper Laurent used the analogy of common salt to argue that no substance per se is a problem, it is only, he said, the level of the dose which is an issue. Monitoring of soil health is done with the assistance of microbiologists and entomologists specialising in the earth worm. The CIVC is researching the effect of grassing between the rows. Weeds are not ‘mauvaises herbes’, Laurent insists. The results of trials at Plumecoq are fascinating. The effect of competition reduces yields (a mixed blessing in Champagne) – in a dry year by 10 to 15% and in a dry year by significantly more. The ‘grass’ consumes oxygen and nitrogen and the vine is less vigorous – and effect, which even in wet years serves to reduce the incidence of rot and mildew. No representative of any Champagne house has yet responded more than dismissively when I have asked if climate change might necessitate a change to canopy management in the region, so I was fascinated to see that the CIVC have been granted permission to experiment with wider rows and higher canopies. A small change has a marked effect. As long as the overall size of canopy per hectare is maintained to allow the same capacity for photosynthesis, the sugar levels remain the same, but the acidity increases and the pH drops slightly. Why? It is as yet uncertain, but maybe because with better air circulation and therefore less trapped heat, the level of malic acid, which degrades with heat, is better maintained. Many other experiments take place at Plumecoq including highly detailed work on the extent of biodiversity and precision viticulture, but one of the more surprising initiatives is a move, in association with the INRA, to develop new disease-resistant hybrid strains, which by back-crossing remain as close to the classic Champagne varieties as possible. The big question is how acceptable these might be to producers and consumers, and whether public attitudes to GM will soften enough to allow GM experiments to come up with alternative solutions to hybridisation that might have an even more significant effect in producing vines able to withstand the effects of climate change. 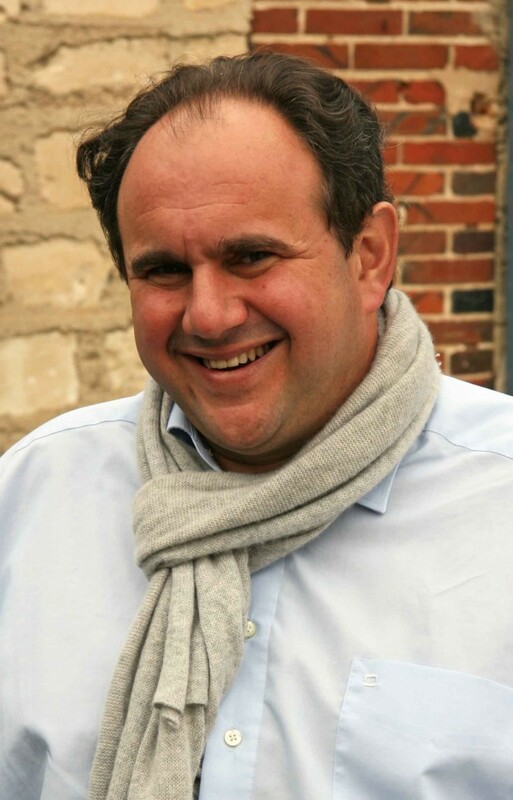 In addition to what takes place at Plumecoq and the other experimental vineyards owned by CIVC – one in the Aube at Essoyes and another being developed near Epernay on a site surrounded by woodland where there will be less chance of disease contamination from surrounding vineyards, the real work of research Laurent emphasises, is carried out through and by networks of growers working together and sharing results. This is the means by which research most effectively gets into the commercial bloodstream. Posted in Champagne | Comments Off on How the CIVC is helping keep Champagne growers ahead of the game. Pol Roger were my generous hosts today. I’ve never before visited the cellars, which gleam impressively with stainless steel. 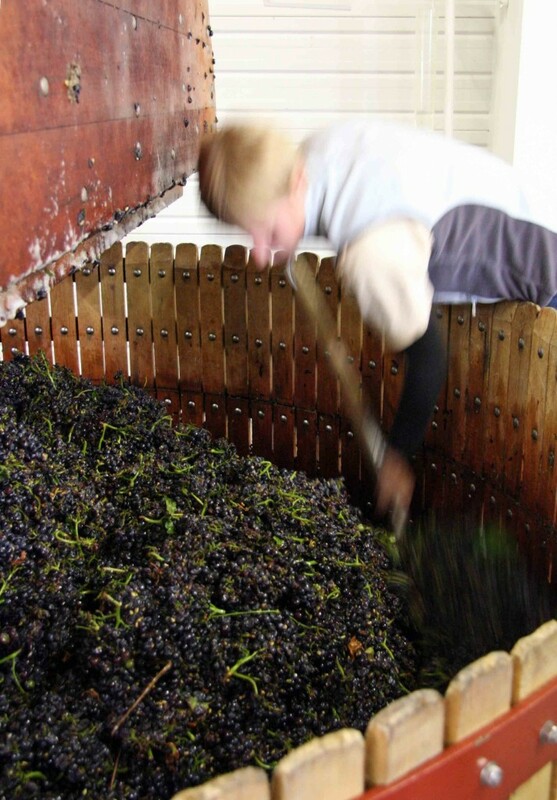 Wine-making is reductive and squeaky clean, only the first pressing is used and a full malo-lactic is done on all the wine. There’s not a barrel in sight. The quality of the wine and thus the blend for any of their special cuvées is only decided once the vins clairs are finished. Brut Reserve is, of course, the house’s chief standard-bearer, an elegant blend, aged four years on lees, of a third each of Pinot Noir, Meunier and Chardonnay. I love its focus and purity of fruit, with a very slightly spicy Meunier twist. ‘Pure’ Extra Brut, the same blend, with an extra year aging on lees is much more austere, but also more expressively – and spicily aromatic. The deliciously fruity 2004 Rosé, rich structured 2000 Vintage and sublime, elegant, but very richly complex Cuvée Winston Churchill 1999 all follow the same path of superb balance and great purity of fruit, but the real star for me – by a mile – is the 2002 Blanc de Blancs, which will be launched in the UK next month. What a wine! It combines yet more richness, with a superb depth of almost exotic fruit, but overwhelmingly white and yellow peach. Soft and creamy, it has extraordinary length and not a trace of the chalky austerity of lesser Blanc de Blancs. During a tour of some of the vineyards with Hubert de Billy, I was able to see a new Coquard PAI tilting press at work, which as the blurb says, enables a high grape volume to be press with a high pressing surface area. A cycle lasts around four hours. I think the model we saw was the 4000kg – which, I gather costs a cool €120,000. I asked Hubert about overall production costs in Champagne. As a rough guide, he estimates €5-6 for a bottom of the range wine that includes second-pressing juice, to €20 for a top quality wine from Grand Cru grapes. The price of grapes is around €5.60/kg for Grand Cru quality – and a bottle requires 1.5kg. Vineyard land rarely comes on the market but Grand Cru sites in Oger changed hands this summer for €1.6 to €1.8 million. The 2012 harvest is small but genuinely very good indeed. Sugar levels approach 11% potential, pH is low and acid fairly high. Mathieu Kauffmann, Bollinger’s Cellar Master believes that it will be on a par with 2002, though with slightly higher acidity, and that most houses will declare a vintage. The flowering was drawn out from the first of June to the first of July. There is a lot of millerandage, but as I was able to taste for myself, the small seedless berries are fully ripe. Organic growers had a very different experience – regular rains washed off Bordeaux mixture used to treat mildew and sulphur to treat oidium and they were left with little or no crop. The juice with highest sugar and lowest pH is the cuvée (first pressing). The pH rises by as much as 0.2 with the second pressing as more elements such as Potassium are released into the juice. This was apparent even on tasting the freshly pressed juice. 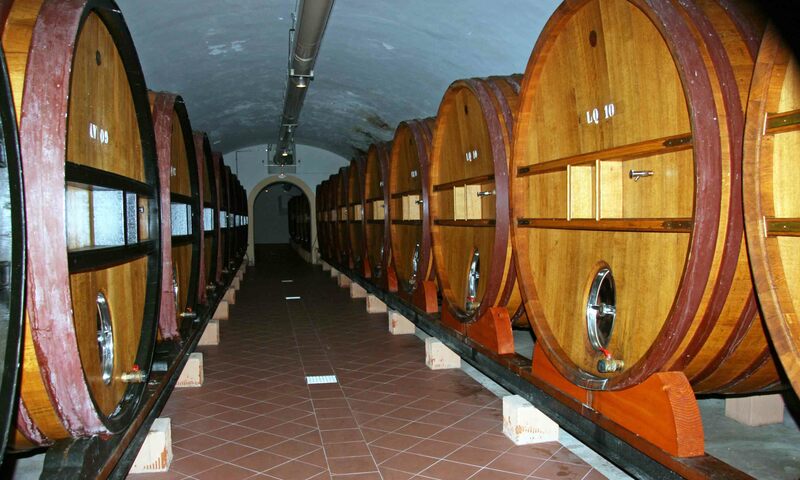 The secret of freshness in the wine is therefore to use as much first press juice as possible. With this, Bollinger still feel able to do a full malo-lactic fermentation. The new shaped bottle, released earlier this summer is based on an old bottle found by Mathieu in the cellars. It is modelled on a magnum. It has a wider body and narrower neck – with a 26mm ring. The bottling line had to be adapted to take it, but it offers not only an ‘aesthetic appeal’ but better aging capability with a much reduced cork size. The secret of Bollinger lies in the magnums of special reserve wine bottled directly from the barrique, with a dosage of 6g/l sugar to give a very modest pressure of CO2 – ‘Quart de mousse’. The wine aged between 5 and 15 years represents 5 to 10% of the Special Cuvée. A riddler can turn 50,000 bottles a day. SO2 levels have been gradually reduced to around 50g/l and Bollinger is probably the only Champagne house not to sulphite the final liqueur d’expedition. A full malo also makes a lower level of sulphur feasible. The wine is better than ever. In particular, I was privileged to be able to taste the 2004 Grande Année ( a bottle disgorged in July) – which is yet to be released. Fleetingly reductive, the familiar brioche –like oxidative richness soon asserted itself. The fruit is markedly citrus (much more than the fabulous 2002) with lemon and grapefruit to the fore. Grapefruit is particularly marked in the mouth, with just a hint of pithy bitterness. It has lots of fruit, maybe even more in the mid palate than 2002, but is rather shorter. It will be all too easy to enjoy as soon as it is released.